Hovercraft Training Centers’ Senior Instructor Chris Fitzgerald recently travelled to Hanoi to conduct hovercraft flight and maintenance training for first responders from Viet Nam’s National Department of Rescue and Relief, as well as personnel from Tuyet NGA Co. Ltd., a security and rescue equipment supplier. 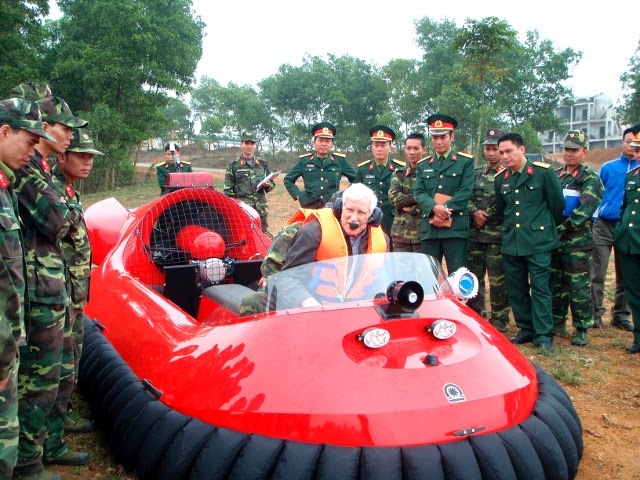 Tuyet NGA purchased two Neoteric rescue hovercraft, which will be used by the National Emergency Response Team of the Department of Rescue and Relief. The Department, under the Ministry of National Defense, is responsible for coordinating both military and non-military forces in search and rescue operations and disaster relief. From left: Mr. Vu Van Nam, Sales Manager, Tuyet NGA Co. Ltd.; Mr Vo Ha Trung, Head of Specialized Rescue; Unidentified member of 249 Brigade; Mr. Nguyen Duc Chien, Deputy Director, Natl. Rescue Dept. 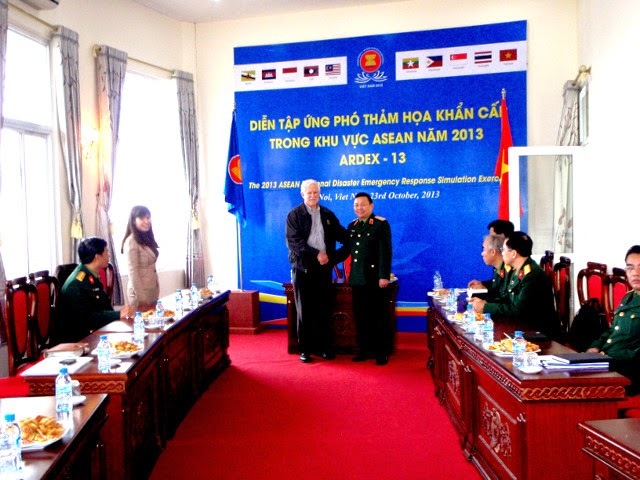 ; Chris Fitzgerald, Senior Instructor, Hovercraft Training Centers, LLC; Major General Pham Hoai Giang, Director, Natl. Rescue Dept. ; Mrs. Phan Thi Van Anh, Vice General Director, Tuyet NGA Co. Ltd.; Unidentified member of 249 Brigade; Mr. Nguyen Dinh Khiem, Financial Dept. Chief, Natl. Rescue Dept. ; Col. Nguyen Huu Hung, Brigadier, 249 Brigade; Mr. Nguyen Bao Tan, Financial Dept. Assistant, Natl. Rescue Dept. 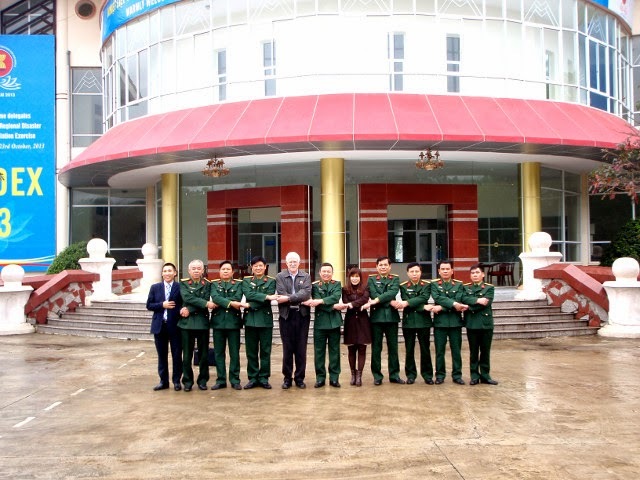 We at Hovercraft Training Centers are honored to partner with Tuyet NGA and the Department of Rescue and Relief. Their two Neoteric rescue hovercraft – and their expertly trained pilots – will be a great asset in a nation so often plagued by monsoons and floods.